This is a psychological thriller about a group of privileged trust fund kids who live glitzy lives in London and party hard in Ibiza. The main character, Lenox, is the stereotypical rock star’s son. His interests and relationships are pretty superficial, and he dabbles in pseudo-careers (photography and DJing) that will never pay the rent on his Notting Hill home. The first three quarters of this story are told from Lenox’s perspective. This first part of the book tells the story of his London life, his relationships with his friends, and their party holiday in Ibiza. The second part of this story is a startling pop-psychology thriller. The book is completely missing a connection between the two parts of the story. For this type of thriller to work, an author needs to be able to build and manipulate the tension and suspense in a way that doesn’t happen here. We get a couple of hints that Lenox has had a bad break-up, a few clues that someone might be watching him – but nothing that builds to the quite shocking climax of the story. I have to admit that I didn’t like the characters at all. Privileged white male trust fund kids are not sympathetic characters to start with. With little self-awareness and a casual sense of entitlement, I really struggled to care for him at all. Lyric seems just as causally entitled and the only thing worse than trust fund London brats might be trust fund faux hippies in Ibiza. There is some heat between Lyric and Lenox but I’m not sure Lenox is actually capable of real intimacy. I feel like this story could have used some careful editing to make the psychological thriller element work. Copy editing errors also threw me off, but I read an ARC and I assume these errors will be fixed before publication. The psychology at the end of the story is sensationalised and I’m not sure the author had an accurate or realistic grasp of the psychiatric condition they were writing about. 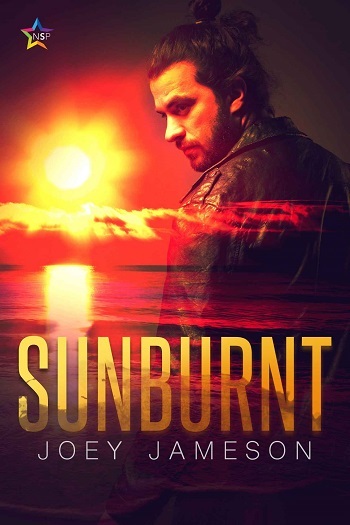 Reviewers on the Wicked Reads Review Team were provided a free copy of Sunburnt by Joey Jameson to read and review.